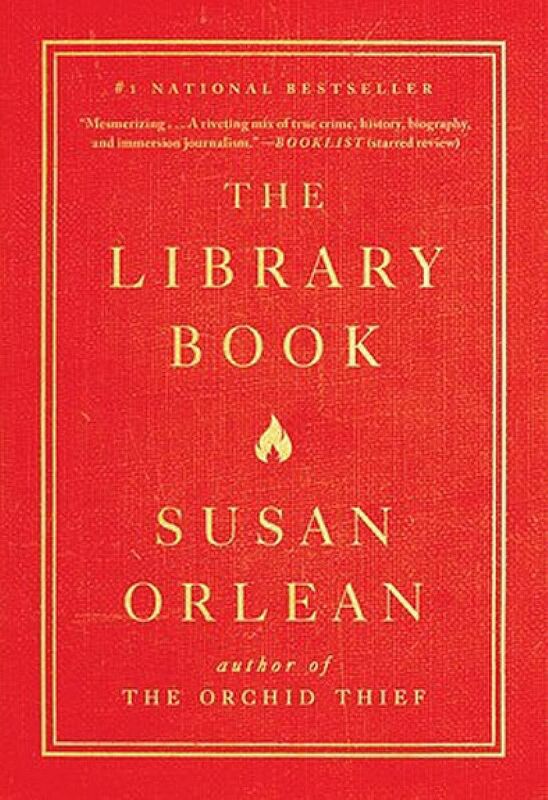 The title combines specificity, in the use of the article, with an allencompassing generality that perfectly encapsulates Susan Orlean's latest engaging read. The story, ostensibly, is about a devastating fire at the Los Angeles public library on April 29, 1986, that consumed 400,000 books and damaged 700,000 more. The fire was buried in the news headlines by a much bigger disaster - the Chernobyl nuclear accident in the then Soviet Union - when it happened. In excavating this forgotten piece of library history, Orlean also meanders, lovingly and thoughtfully, into all sorts of byways about the role of libraries and librarians. The history of the Los Angeles public library, established in 1844, becomes a revealing mirror, reflecting the aspirations, foibles and prejudices of the city's civic elders through the years. One entertaining kerfuffle involves the library board's attempt to fire the resident city librarian Mary Jones, a library school graduate, in favour of an unqualified man - a poet, writer and adventurer named Charles Fletcher Lummis - in 1905. To add insult to injury, they were going to pay him twice her salary. Ms Jones, understandably piqued, refused to give up the keys to her office and the library safe, and became something of a cause celebre with the then-budding suffragette movement. Lummis did, finally, become the city librarian. A flamboyant man with a knack for generating publicity, his showboating style helped increase the library's membership. One of his gimmicks was to hire a friend, Dr C.J.K. Jones, and promote him as the Human Encyclopaedia who could go around answering patrons' questions as a sort of pre-Internet Google service. The parade of colourful librarians is matched by odd library patrons who are mentioned in brief references that instantly make you want to go on a Google hunt to find out more. These patrons include Richard Ramirez, also known as serial killer Night Stalker, who borrowed books on torture and astrology; and Harry Pidgeon, the second person to complete a solo sailing trip around the world, who got his boat-building plans and nautical knowledge from books borrowed from the library. But the institution is more than just a home to a passing assemblage of eccentrics. What this book demonstrates is the importance of libraries as a communal space, even in this digital age, when search engines offer instant access to billions of bytes of information. As contemporary programmes reaching out to teens and the homeless prove, the library is an information highway offering guidance and direction to lost travellers who enter. What raises the narrative is also Orlean's contemplative, lyrical bent, which makes the prose a pleasure to read. Her description of the progress of the fire is hypnotically powerful, starting with the wisps of smoke which "wound around Fiction A through L, curling in lazy ringlets. It gathered into soft puffs that bobbed and banked against the shelves like bumper cars. Suddenly, sharp fingers of flame shot through the smoke and jabbed upward". For lovers of books, this section is more gruesome than any horror movie scene. Yet, this calamity drew the community together as volunteers turned out in droves to help pack damaged books for preservation and restoration, money was raised to rebuild the institution, and yet more volunteers showed up to help shelve books in the new building. Orlean quotes from American president Franklin D. Roosevelt's keynote address at the 1942 American Library Association's convention: "Books cannot be killed by fire. People die, but books never die." Of course, books can be killed by fire. But as this book demonstrates, libraries can rise from the ashes and endure. If you like this, read: The Library Book (Profile Books, US$9.02/S$12.40 on Kindle from amazon. com or US$11.73 from audible.com), a charming, idiosyncratic collection of essays paying tribute to the library from a starry line-up of authors including Lionel Shriver, Stephen Fry and Val McDermid.